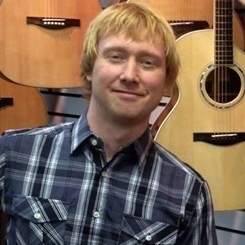 Miles Partridge has been teaching Guitar and Bass in Cary for 21 years. Along with music instruction, he has toured nationally and internationally with original bands, cover bands, and tribute acts. Performance highlights include playing on Kid Rock's "Chillin' the Most" Cruise and sharing the stage with OutKast's band, Wild Peach. He is an accomplished recording engineer and has produced records for several bands, as well as released three of his own solo albums. His current band was nominated in 2012 for a Progress Energy Carolina Music Award. Miles teaches students a variety of musical styles and approaches each student as an individual. Special attention is put on the students musical goals. Being a songwriter, Miles will also incorporate song structure and theory when applicable. Request Lessons with E Miles today!